Be the first to share your favorite memory, photo or story of Berlin. This memorial page is dedicated for family, friends and future generations to celebrate the life of their loved one. 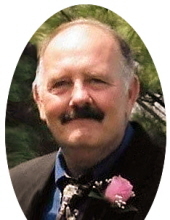 Berlin Franklin Elliott, age 73, of Morehead, passed away Monday, January 28, 2019, at St. Claire HealthCare. Born January 11, 1946, in Sandy Hook, he was a son of the late James Albert Elliott and Dorothy Jerrals Elliott. Besides his parents, he was preceded in death by two sisters, Teretha Mae Rabb and Mary Lou Wagoner. Berlin’s wife, whom he loved for 40 years, Ginger Lee Davis Tackett Elliott, passed away March 12, 2004. He is survived by four children: Berlin F. Elliott Jr. and wife Julie Fancher of Morehead, William Albert Elliott of Clearfield, Cindy Beth Lindsey of Winchester and Brooks Davis Elliott and wife Tasha of Winchester; four grandsons: Cameron Planck, William Blake Elliott, Gabriel Jaxon Elliott, and Landon Elliott; and one great-granddaughter, Blake Elliott. Berlin spent most of his working years as a carpenter and salesman. He was an avid reader, fisherman, movie aficionado, and fluent philosopher. He enjoyed history discussions, classic and hot rod cars (his favorite was a ‘55 Pontiac Chieftain), and boxing (loved Joe Frazier). He was the greatest father ever and always enjoyed being with children. A devout believer in God, he was a member of the Free Will Baptist Church. To send flowers or a remembrance gift to the family of Berlin Franklin Elliott, please visit our Tribute Store. "Email Address" would like to share the life celebration of Berlin Franklin Elliott. Click on the "link" to go to share a favorite memory or leave a condolence message for the family.